NBA's Byron Scott I Can't Afford My Ex-Wife's Lifestyle ... I'm Unemployed!! 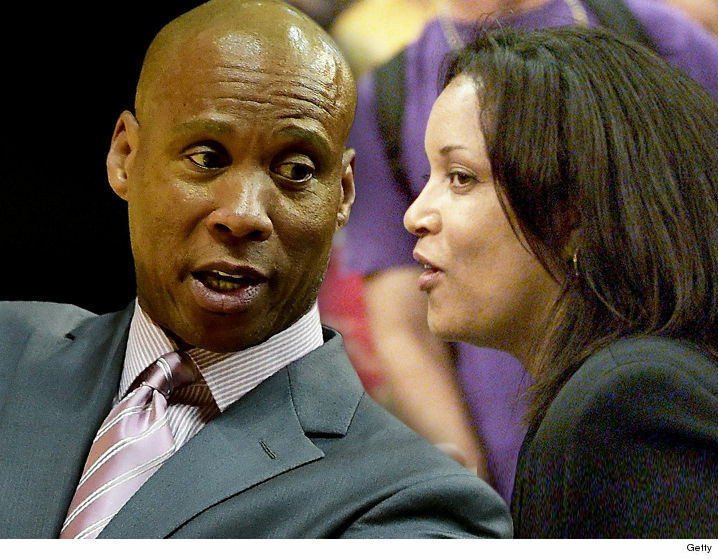 NBA's Byron Scott: I Can't Afford My Ex-Wife's Lifestyle ... I'm Unemployed!! Ex-Lakers coach Byron Scott says he can't keep paying for his ex-wife's baller lifestyle, 'cause he hasn't found a new job yet. As we previously reported, Scott signed a $17 MILLION contract with the Lakers right after he filed for divorce in 2014. He'd been married to his high school sweetheart, Anita, for 29 years. Since he was making around $300k per month at the time, the judge ordered him to pay $26k per month in spousal support. But in new court docs obtained by TMZ Sports, Byron claims his financial situation has changed drastically ... 'cause he got fired in April and isn't pulling those huge NBA checks anymore. Byron says his only form of income these days is a $50k-per-month deferred compensation check from the Cavs ... and half of that already goes straight to Anita. On top of that, Byron says he probably won't find a new job 'til next year .... 'cause every team has filled their coaching spots and "there will not be a need for an analyst or commentator" at this point in the season. Byron is asking the judge to cut off all spousal support payments ... at least for now. The case is due back in court later this month.